There is a new fair at the fairgrounds. 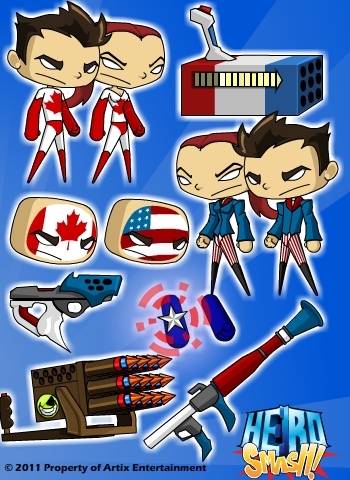 It’s for the 4th of July, and Canada Day! Visit the Fairgrounds and see a special Visit the fairgrounds and meet Skew, our latest player NPC. It appears that the chudlings have a fondness for gunpowder. It makes them hungry. Who knew? Well anyhow, Skew needs your help, or else there will be no fireworks extravaganza. This release features 3 new missions, and 16 new holiday themed items! So get your liberty on, and get ready to smash up some chudlings and watch some fireworks. Ahhh, that sounds like a great 4th of July! Skew is a HeroSmash player who was picked out of 25 total players that met the right requirements. Good job Skew!